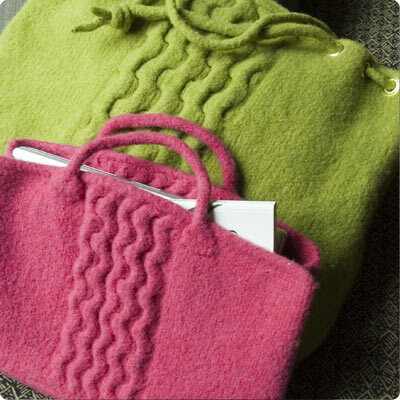 Classy felted cables make a statement in the boardroom on an elegant divided briefcase and at the boarding gate on a generous carpet bag. Pack up the laptop, a lap full of knitting or lap dog and go! Carpet bag: 20 wide x 15 high x 6 deep.